WIKA is a world leader in pressure, temperature, level and flow measurement instrumentation manufacturing. With our extensive line of pressure gauges & transmitters, diaphragm seals, thermocouples, resistance temperature detectors (RTD’s), thermowells, infrared pyrometers, magnetic level indicators, switches & transmitters, calibration equipment, and associated accessories we can provide a solution for any measurement task. Our products are ideal for applications within the automotive, oil & gas, petrochemical, power generation, process, sanitary, medical, UHP, and wastewater industries. WIKA Instruments Canada Ltd. is also the Canadian distributor for Kimray valves, regulators & controllers, Parker PGI valves & manifolds, L.J. Star sight glasses & flow indicators, YZ Systems sampling & odorant systems, Flow Management Devices liquid flow provers, Fluidic Techniques venturi tubes, orfice plates & flow nozzles, flow nozzles, PR electronics signal conditioners, displays, isolators & barriers, tecsis load cells & hammer union sensors, Eurotherm Controllers, Indicators & alarm devices, MTS Sensors magnetostrictive liquid level instruments and Dockweiler stainless steel tube systems. 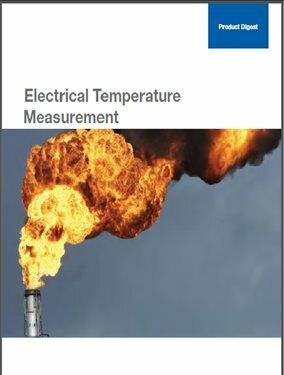 A detailed overview of temperature measurement devices – Thermocouples, RTDs, Temperature Transmitters and protective Thermowells – for different industrial and commercial applications such as sanitary, tubeskin measurement, bearing monitoring, high temperature furnace control, HVAC and industrial process control.